← Act Immediately to Block ATF Long Gun Sales Reporting! ‘Project Gunwalker’ protest can help kill ATF’s long gun reporting proposal – National gun rights | Examiner.com. “The White House says tracking the bulk sale of high-powered rifles from border states gunshops …is not an emergency, and has rejected a request from the U.S. agency that monitors weapons sales to do so without public review.” the Associated Press reports. Instead the Bureau of Alcohol, Tobacco, Firearms and Explosives’ proposed requirement…will undergo a standard, three-month review period, opening it to public comment. One other technicality that has not been widely explored (although discussed in this column): One of ATF’s criteria, that affected firearms have “a caliber greater than .22,” would, without further definition, include .22s, which actually are larger than that. And the “Project Gunwalker” tie-in? AP once more adopts its traditional role of amplifying citizen disarmament lobby talking points to gin up public sentiment to support the new registration scheme, such as smugglers hiding up to 100 “assault rifles” in car bumpers, and describing .50 caliber rifles as being “capable of shooting down airplanes”–as opposed to just reporting the facts. And once more Mr. Hardy skewers the anti-gun rationale. Mike Vanderboegh at Sipsey Street Irregulars notes the avoidance and silence of all the major media on this new development, which by any objective standard should be not just considered newsworthy, but a bombshell. It’s fair to speculate, particularly based on the track record of the press and their reporting to date, that this does not fit a narrative they wish to tell. Vanderboegh also notes a claim by ATF agent Vince Cefalu that “ATF DIDN’T make every effort to ‘interdict’ these guns or they WOULD HAVE been interdicted,” again a subject the ”Authorized Journalists” seem loath to tackle. Send in your comment today. Ask why ATF should be given any more power and authority until allegations they abused and mishandled existingauthority in the “Project Gunwalker” scandal have been fully investigated with testimony taken under oath. My Parents Open Carry, author, Brian G. Jeffs, live, explains why everyone should read this book! “Murder in Tampa”, Mark Walters questions media reports. Botswana hunting closing, live report by Barbara Crown. Wayne LaPierre discusses guns, 2nd Amendment and Mexico. Michael Yardley video report on Shooting Sports around the world. All this, and more, at www.atsn.tv – The #1 Network for Trigger Sports! On your computer, 24/7, when YOU want to see it! Event DVD’s available from the ATSN.tv store. 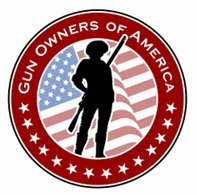 Regular readers: If you agree that mainstream press coverage of the gun rights issue demands a counter-balance, please help me spread the word by sharing Gun Rights Examiner links with your friends via emails, and in online discussion boards, blogs, etc. (Also note “Share” options, below.) Then get more commentary at The War on Guns: Notes from the Resistance. This entry was posted in 2nd Amendment, ATF, Project GunWalker and tagged 2nd Amendment, ATF, Gun Control, Gun politics, NRA, Pro-Gun Rights, Project Gunwalker, Right to keep and bear arms. Bookmark the permalink.